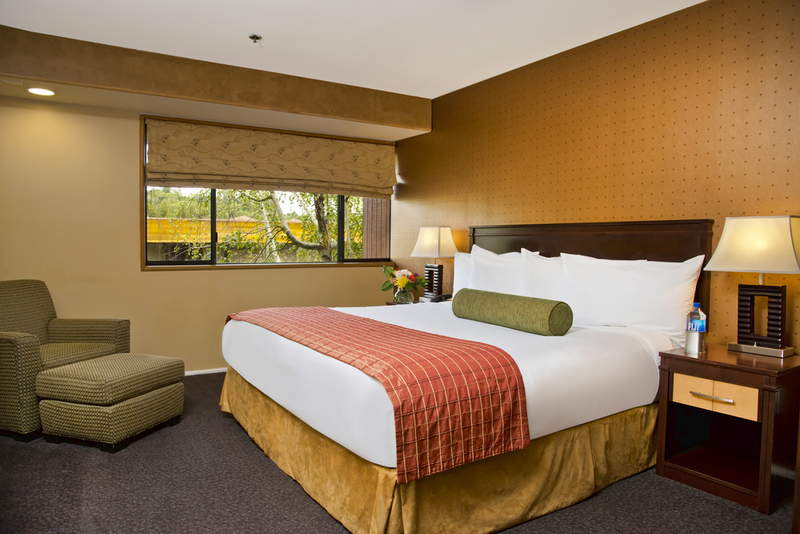 With 124 guestrooms and suites, unique architecture, and a dedication to our guests, Fountaingrove Inn is the perfect home away from home in Sonoma Wine Country. Downtown Santa Rosa, a regional airport, and hundreds of wineries are just minutes away. When you're here, enjoy The Steakhouse @ Equus for breakfast, lunch, or dinner. Our bar offers a wine list featuring local varietals, locally produced beers and spirits, and artisanal cocktails.